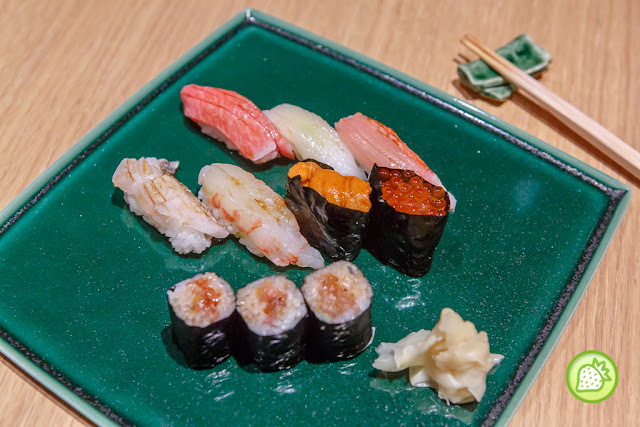 Helmed by the Japanese chef, Sushi Azabu which is located inside Isetan at Level 4, is indeed one of the best we had. 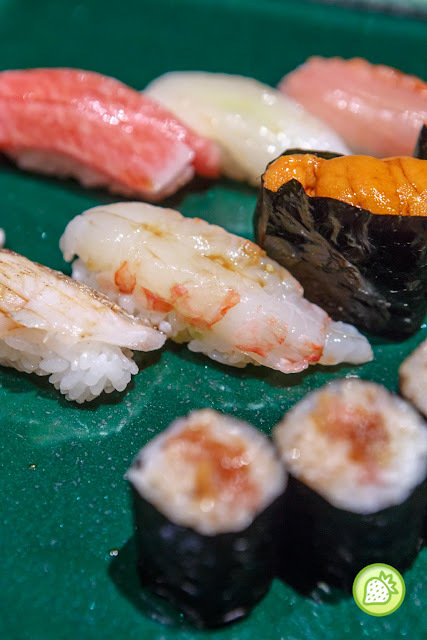 As we know , Isetan The Japan Store in Lot 10 brings you a truly Japan feel where not just the merchandise and products are being imported from Japan; but they offer a huge choices of eateries are also from Japan. 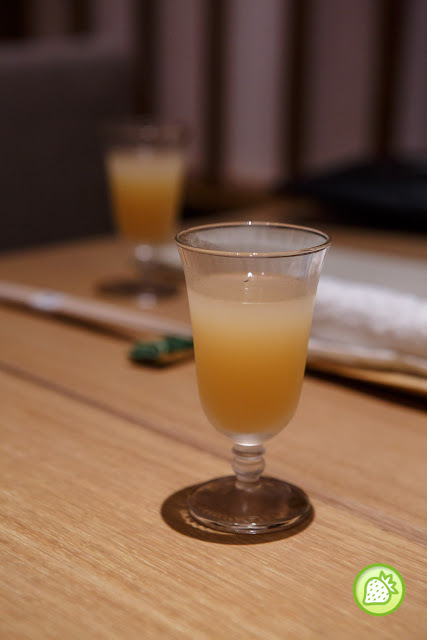 Welcome Drink – Peach Soju Start your meal with the peach soju where the drink comes simply refreshing with the hint of peach in it. 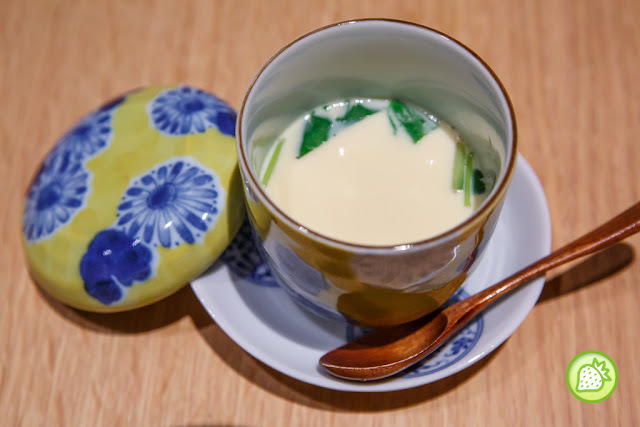 It is believe that this drink is to prevent from the devil and bad luck. 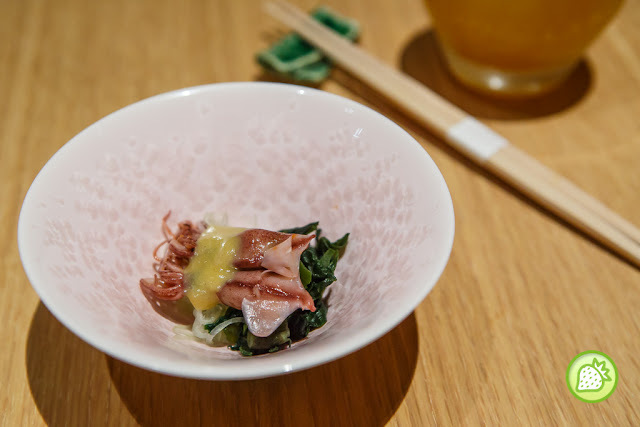 Appetiser The fresh baby squid is well marinated with the Japanese mustard and sides with the fresh wakamme with it. Added with the fresh mustard sauce where they have the hint of wasabi in it; the taste comes simply refreshing and awesome. Nice one. 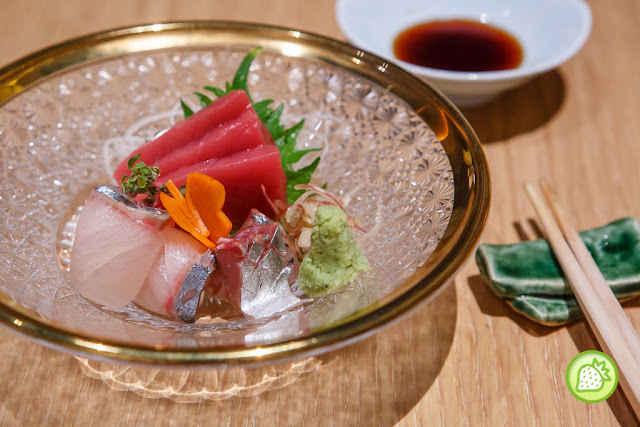 Sashimi No one should say no to Sashimi when it comes to enjoy Japanese cuisine. Enjoy this imported fresh fish of the day as we have the tuna, wild shimiji and snapper all in one bowl. Melts in the mouth sensation, the fresh fish is so good where it is like the fishes are dancing in my mouth. Chawanmushi The chawanmushi is superbly good and this is indeed heavenly where the texture comes simply velvety and brings you with the melts in the mouth sensation. Absolutely one of the best I had. And whats more there is pieces of fish inside too. 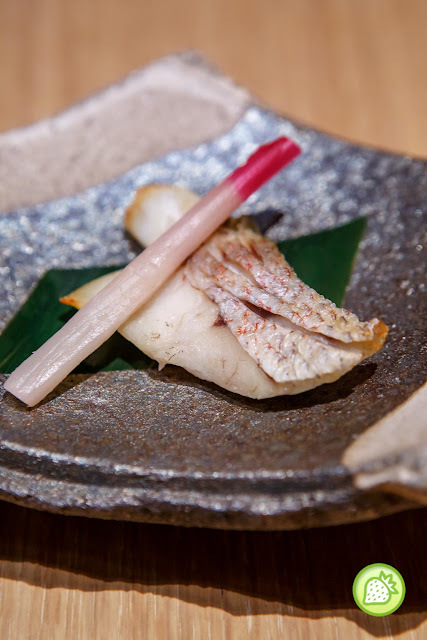 Season of Rosy Sea Bream Enjoy the slice of this amazing delicious fish where the slice of sea bream comes with the complete freshness from the sea with the light saltiness in it. 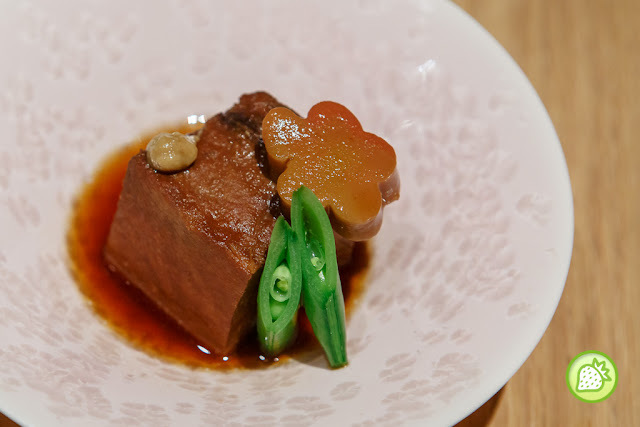 Nice taste of sea freshness in it and meat remains its flaky texture. It is so heavenly and I don’t mind having more. Steam Sword Fish (Kakure) Serve next is this awesome-licious sward fish which is well steam till perfection. Bringing you with the tender moist meat and flavourful taste of it. The taste is superbly good and delicious and I am impressed with it. Sushi Nothing beats enjoying these delicious sushi on the plate. 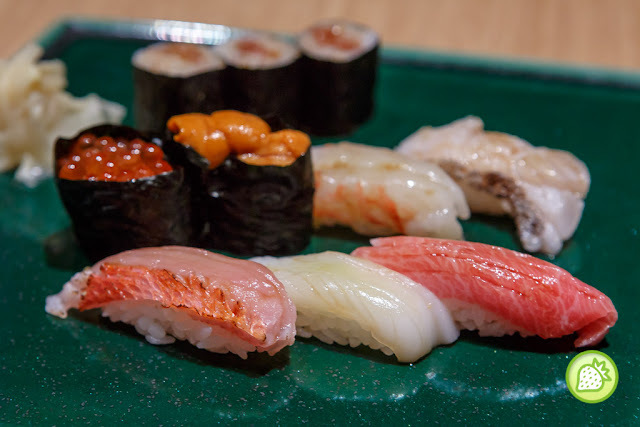 The assorted sushi completes with the chutoro, cattlefish, snapper, golden eye red snapper, striped jack, sea urchin, fat tuna roll, prawn in it. Perfectly awesome with the moist rice and well topped with huge pieces of fish on top. Worth every penny! 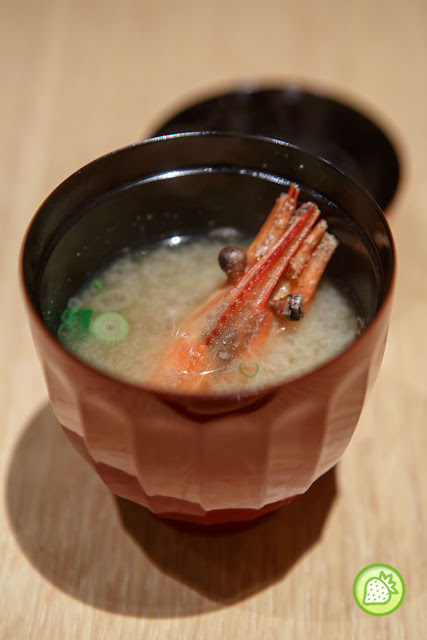 Miso Soup Ends your meal with the warm miso soup that is served with the prawn head on top. Light, sweet taste to ends the meal today. 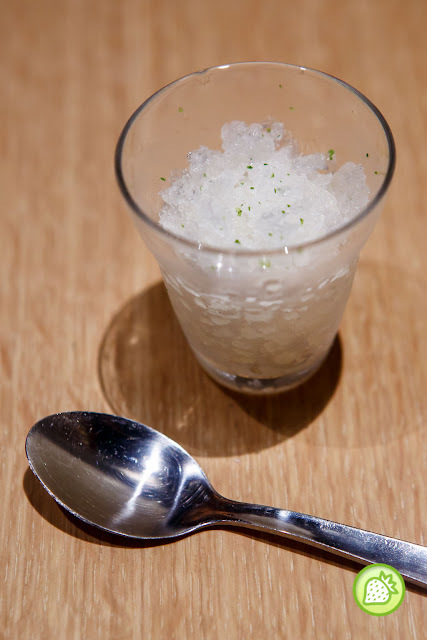 And also the Yuzu Sorbet where they comes perfectly refreshing and had make me a happy girl. Nice one!